In honor of Women’s History Month and International Women’s Day (March 8) I want to do a double feature to spotlight Dr. Monica Cox as this month’s Mademoiselle Scientist and Spotlight on Science. If you want to check out my last double feature check out my feature about MySciCareer and Dr. Amy Freeman to learn more about women that are doing great things in science! Mademoiselle Scientist Spotlight: Happy Birthday Dr. Mae Jemison! Happy Birthday Dr. Mae Jemison! 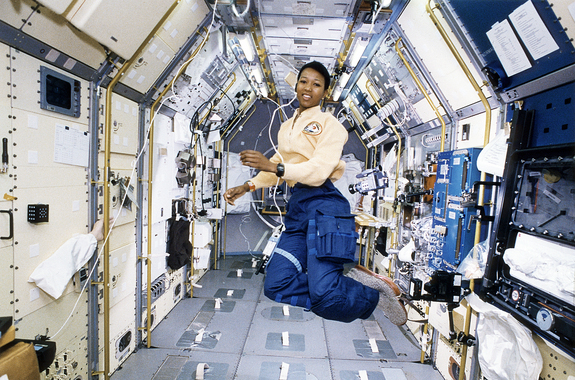 Today I wanted to write a post to celebrate Dr. Mae Jemison’s birthday! She is truly inspirational and phenomenal! Dr. Mae Jemison is an astronaut, chemical engineer, physician, entrepreneur, academic and someone who I always admired growing up. Dr. Jemison was born on October 17, 1956 in Decatur, Alabama. After graduating at the age of 16 from Morgan Park High School in 1973 she earned a B.S. Chemical Engineering and a B.A. in African-American Studies from Standford University. After graduating she entered Cornell University Medical College. In 1981 she graduated and began working as a general practitioner and served in the Peace Corps. Later she decided to switch careers to become an astronaut. On June 4, 1987, she became the 1st African-American woman to be admitted into the astronaut training program. Five years later on September 12, 1992, she flew into space with six other astronauts aboard the Endeavour on mission STS47. In March of 1993 she left NASA, accepted a teaching fellowship at Dartmouth College and founded the Jemison Group.